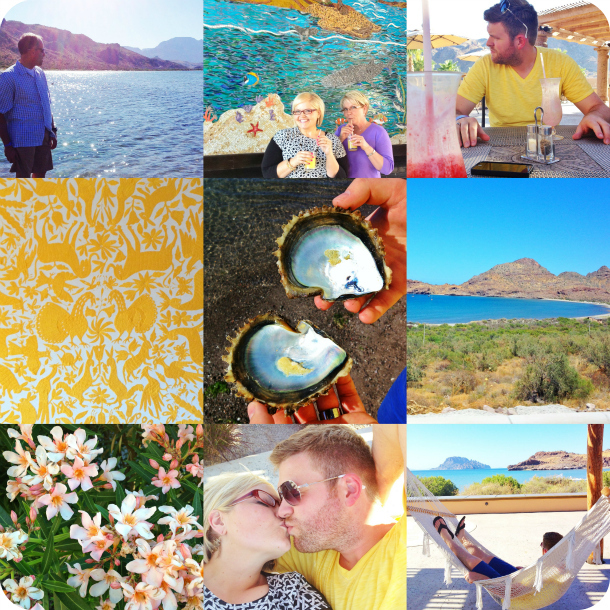 For those of you who have been following along on our Instagram feed, then you already know that we've been vacationing in sunny Loreto Mexico for the past week. My parents have a time share that they bought into a few years ago, and about every other year we're invited to come along to enjoy whatever tropical location they're jet setting to. Last year even though the invitation was extended, our budget just wouldn't allow for it. We were definitely bummed, to say the least, but we just buckled down and slowly collected small amounts of money here and there, to save for the getaway that we'd be looking forward to, THIS year. Let me tell ya, with both of us working full time, school, dance, events and projects... we were MORE than ready to get away. When my parents called us a few months ago and said... "Wanna come to Mexico for a week?" I don't even think they finished their sentence before Cason and I were screaming, "YEEEESSSS!!!" 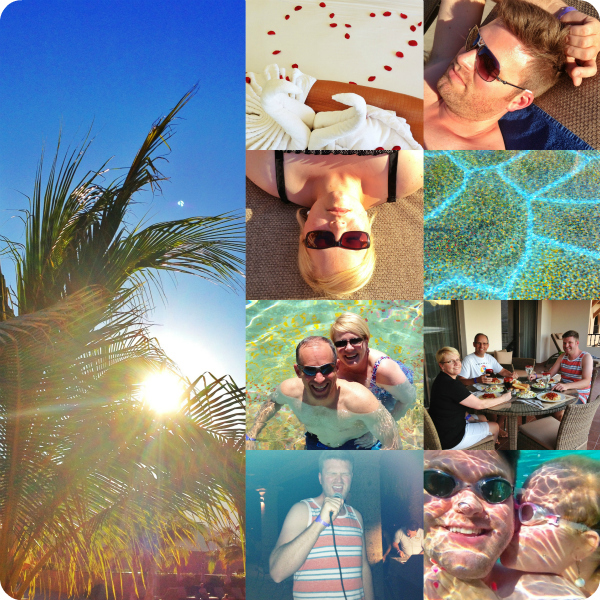 When we've gone to Mexico in the past, we usually go to Cabo and stay at the Villa del Arco. It's really beautiful there, the beaches are gorgeous and the actual town of Cabo is always hoppin'! 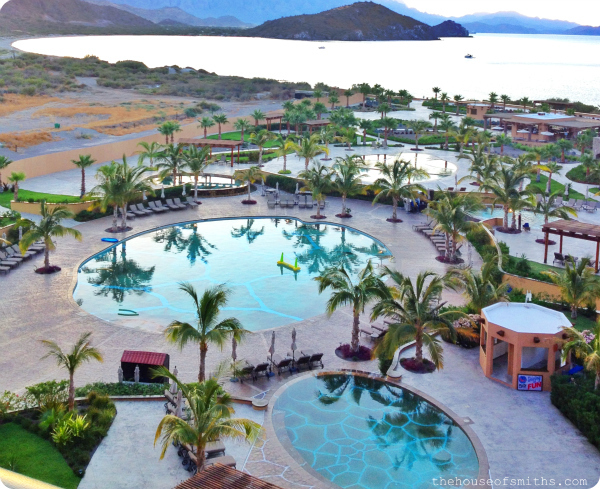 But this year we decided to change it up a bit and fly out to Loreto Mexico instead, to stay at the Villa del Palmar; the Villa groups newest resort. Our trip was a total of 9 days, but two of those days were spent in LA, so that we could get to our connecting flights the next morning. Believe me, there is no complaining here because of our short one night stays in LA on the front and back-end of our trip. 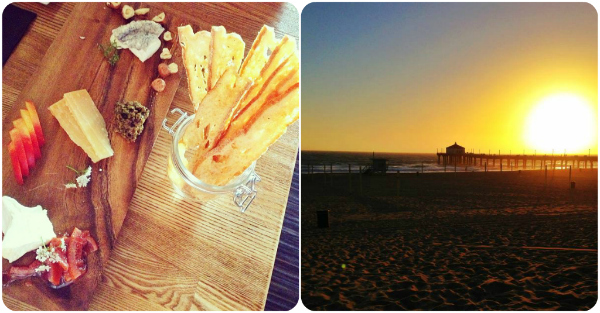 Our hotel (the Marriott Courtyard, right by the LAX airport) is only about 10 minutes away from the Manhattan beach pier and boardwalk. Since we flew in right around dinner time, we caught a shuttle, had some dinner and then would watch the sunset before heading to bed. The beginning of our trip (after our short stop in LA) started with a 2 hour flight into Mexico via Alaska Air. Once in Mexico we met our driver, headed into town to do some crazy quick grocery shopping for the week, where we spotted a tiny little chihuahua freely roaming the isles (??? ), and then reached our final resort destination. Day one was mostly filled with exploring around the resort and relaxing. The ocean in Loreto isn't like the typical ocean front we experience in Cabo, with crashing waves and pushy sales people walking back and forth on the beach. It's actually a nature preserved bay, with calm, clear, shallow, glassy waters, surrounded by beautiful little islands. It's breathtaking. To be honest, after a great workout, day two was strictly filled with sunbathing and swimming. Oh yeah... and a little karaoke after sunset, of course. We're JUST fresh off the plane this morning and I'm tempted to run into the girls' school and pull them out so I can give them big, huge hugs, but I shall refrain. LOL. While I'm waiting for them to get home I wanted to start our little journal from the trip, with the first couple of days, so that we could share it with everyone! I can't tell you how much this trip has done for me... for US! We missed our kids and friends back home like you can't even imagine, but I can't stress enough how important it is to relax and reconnect with your spouse every few years, away from all of the daily stresses. Whether it's in a cozy cabin in the woods, a comfy hotel room in the city or beach font at a beautiful resort. If you've been thinking or dreaming about a "second honeymoon" with your significant other. MAKE IT HAPPEN. Start saving and planning NOW. It's therapy for the soul. It's what strengthens marriages and recharges you as a mother, father, wife and husband. Spending time alone with the person you love, talking, laughing, being silly, exploring and throwing caution to the wind for a few days every once in a while is sometimes EXACTLY what you need. 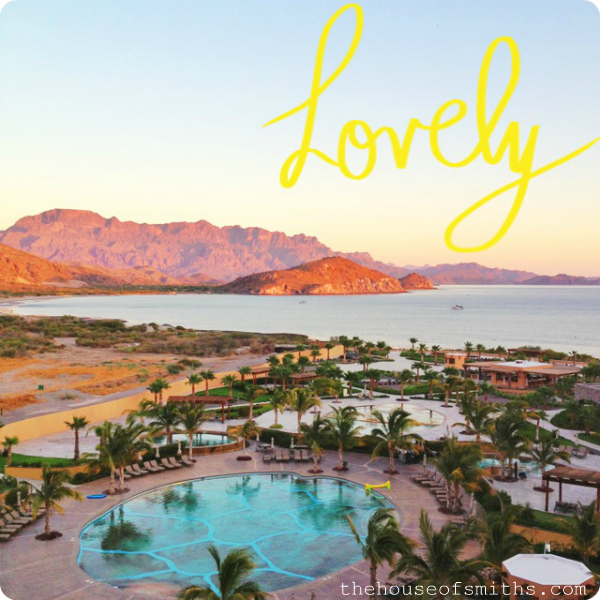 We have a house at the Villages of Loreto Bay, pure paradise!! I am glad you had a good time!!! We wish we could, but there isn't anyone to watch the kids. It will have to wait. For now, we enjoy the few hours here and there we get. looks like you had a fun trip. so beautiful. i'm dying for a trip with my spouse. we haven't done that since our second wedding anniversary before kids! it's so hard when you don't have family around to watch kiddos to get away. BUT i've gotta figure out a way to make it happen! I am so glad you got to get away! I loved following your adventures on Instagram. It looked so fun! WE SO NEED A VACATION AWAY, just the two of us! SO SO SO BAD! I think I"m going to get to planning and see if I can't make it happen. Even if it's just 2 nights away. This looks heavenly. You look just marvy yourself! Glad y'all had a good time!! Isn't that SO. VERY. TRUE!!!! I try and sneak off on long weekends with my husband when he has business trips in fun places. And we try and do an every-other-year big vacation for the two of us because it really is so important. Beautiful! You are so lucky! 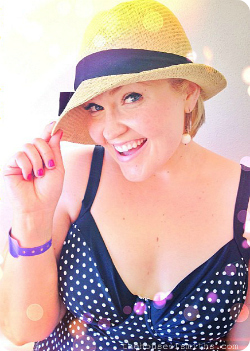 In the pic where you are wearing a hat, is that a polka dot swim suit? If so, where did you get it? SO cute! Sounds dreamy and looks divine! What a fantastic recharge for you all,looks like you had a ball too. 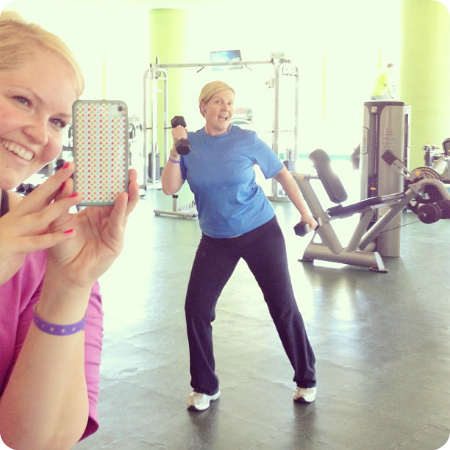 It looks like a lovely holiday, love that first photo of you Shelley. I so can see who your youngest looks like! The view out your room looks amazing too. I can't wait to hear about the rest! It sounds heavenly! Maybe we will check this out for our 20th Anniversary next year! 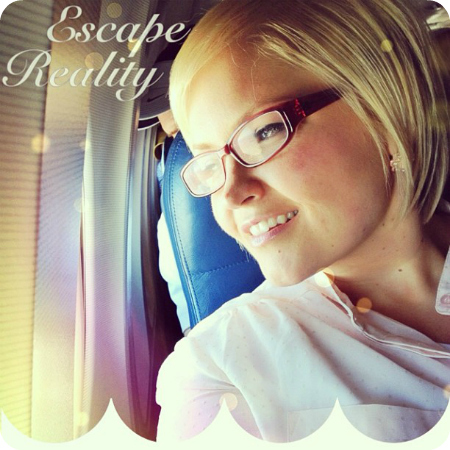 Thank you for letting us live vicariously through you on your vacation! Your family is so cute, looks like you had an amazing time! Ok, I tried to ask a question yesterday but I don't know what happened or where it went. Anyway...Is that a polka dot swimsuit you are wearing? Where did you get it? Super Cute! Thanks! I wanted to ask to: not here, but normally, yo do have some text on your instagram pictures. How do you write/put that?